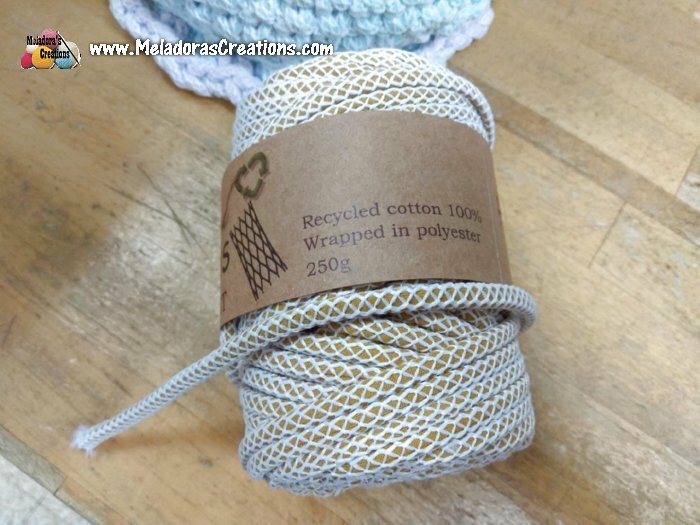 I haven’t done a blog post in awhile, but when I saw this yarn at the store I just HAD to share it! Their English isn’t the best, but I got the point. They don’t have an actual shop. They make and sell the yarns wholesale to the yarn shops in Israel and in other countries I imagine. Just anyone who wants to buy wholesale. So just pointing it out to you, if you wanted to get your hands and hooks on some of this yarn, you’ll have to bother Redheart, Yarnspirations, your local yarn store or whoever buys yarn wholesale. Have them contact these guys! Maybe you can find some in your local yarn shop like I did. They had this basket just sitting on the counter when I came in the store. And there was this little hotpad underneath the basket. It’s made with the same yarn using two different colors. I thought to myself that looks so cool! On closer inspection I could see that it looked like the T – Shirt yarn but covered in some kind of netting. 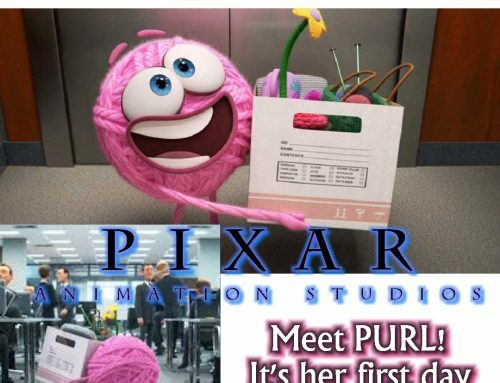 I asked her “Where is more of this yarn?! And she pointed to the shelf behind me. 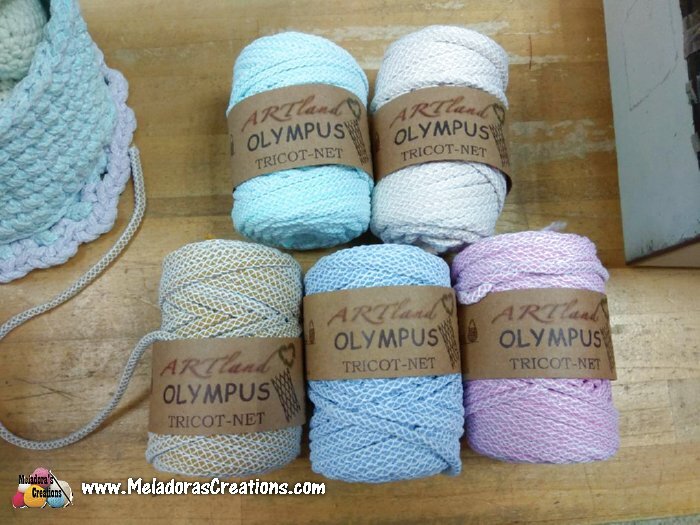 At first glance the yarn skeins look small….and expensive compared to regular yarn. Not to surprising with so much material in one place, the weight of 250 grams goes fast. Recycled 100% cotton and wrapped with polyester. 250G ball. It feels tough, it’s not a wimpy yarn! It’s not soft to the touch, it does feel like netting, but it is net. 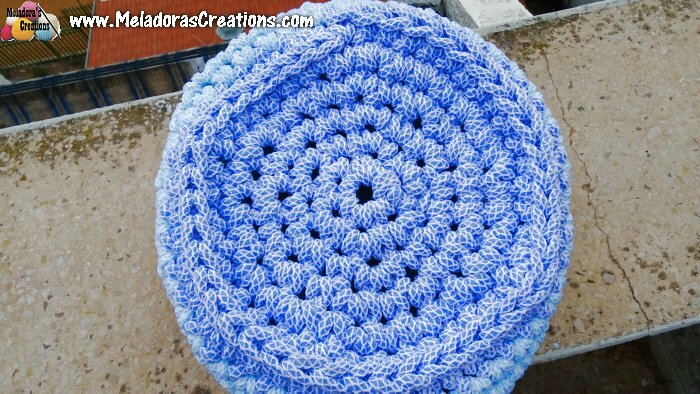 This is not anything you would make a baby blanket out of. But WOW does it have a cool effect! I asked the lady “How many skeins does it take to make that little basket?” She said just one. I grabbed 2 skeins because I was planning on making my basket bigger. I got 1 blue and 1 turquoise. 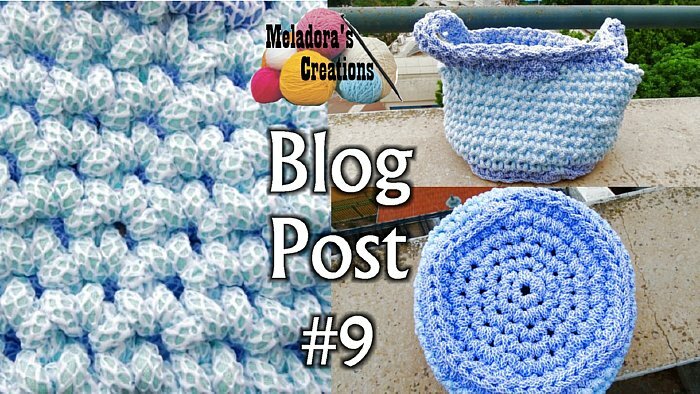 Since picking up everything and moving to Israel I haven’t had a place to sit my crochet projects in as I worked on them….I used to have one that my mom gave me and I used it the whole time I was crocheting. Even when I moved out to get married I took it with me, but now in Israel I have just been using plastic bags. So I made myself this! It’s so nice to have a basket again and woah what a basket! Pattern is at the bottom of this page. What do you think? I knew I wouldn’t have enough of one color to make the whole thing, so I started with the blue and created the bottom. Then once I started on the side portion of the basket, I switched to the turquoise. I had a bit of the blue left over so after I crocheted until there was no more turquoise yarn left, I switched back to the blue and made the handles. It’s not perfect but it’s functional! 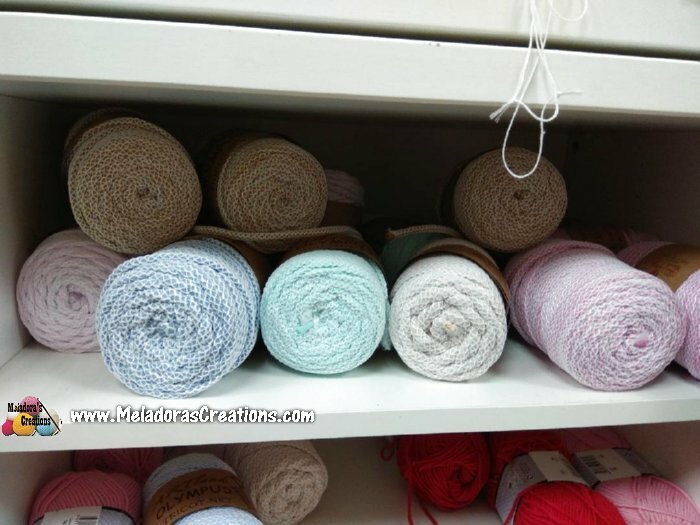 I have a great idea to use these big holes between the stitches to hold several colors separated at a time. Like the ones they sell on amazon. 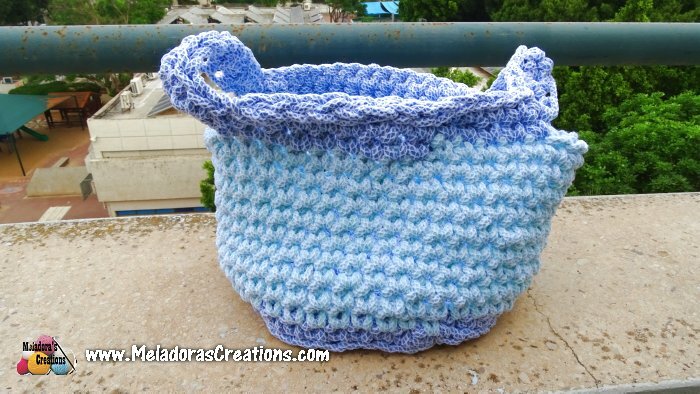 I am excited to have a basket to keep my projects in now, no more plastic bags for this crocheter! 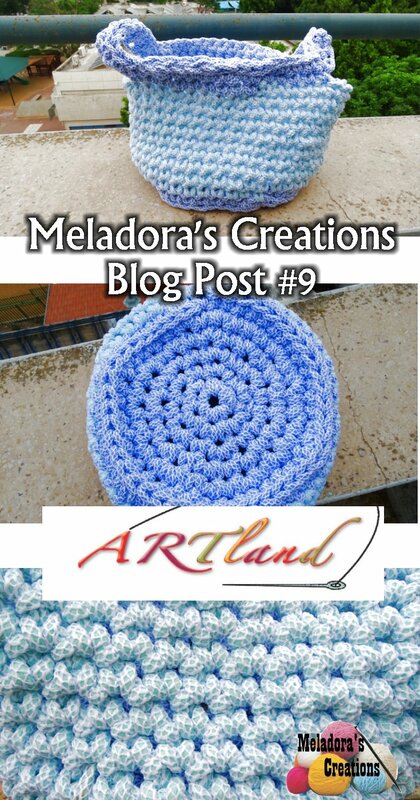 Here’s the crochet pattern if you’re interested! I am going off memory, I didn’t originally plan to share a pattern. But this is what I remember. Ch 2, sc 6 into the 1st ch. I marked the first stitch and continued in one continuous round. I crocheted 1 sc in the next 5 sts and sc 2 in the 6th. I put 1 sc in all back stitches all the way around. Put 1 sc in all sts around. I single crocheted about 10 stitches, just to get away from the beginning connection a bit, then started to single crochet foundation stitch (if you don’t know how to do a single crochet foundation stitch, then see video tutorial below) until I had 10 foundation stitches, then I skipped 7 sts on my basket row and single crocheted in my 8th st over to connect my handle. Then I winged it until I reached the equal part of the bag, on the opposite side, and did my single crochet foundation stitch again to complete my other handle. Then I finished single crocheting to end my row. 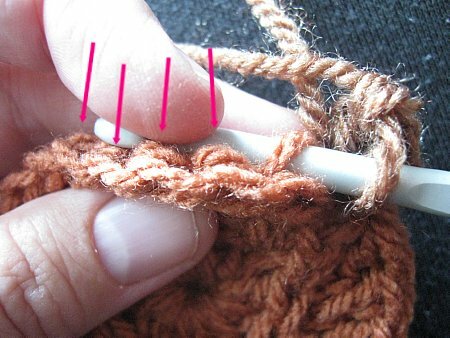 If you don’t know how to single crochet foundation stitch, here is a video that I hope will help you learn it. 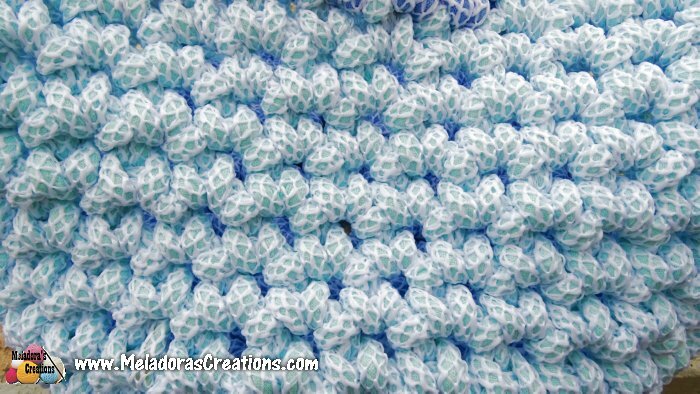 It’s a very good skill to learn in crochet! 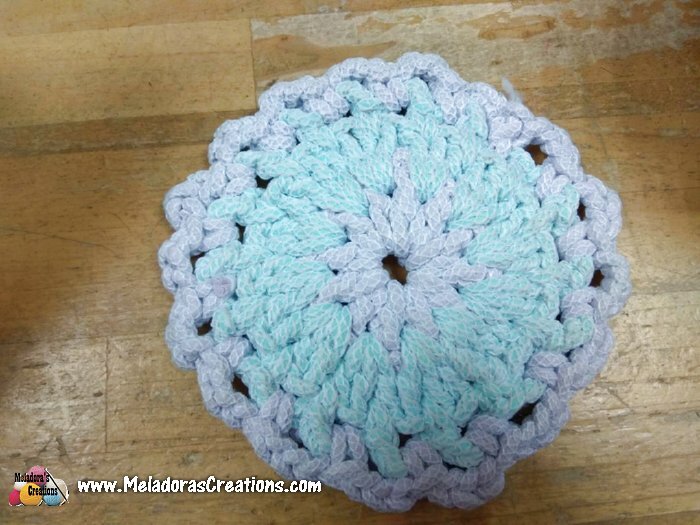 I single crocheted all round. 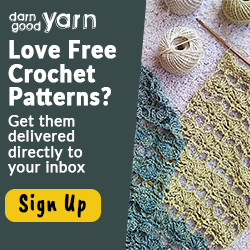 Single crochet over the stitches on your handle as well. That’s it! After that my yarn was finished. I had fun! I made this basket in an hour and a half.